This artwork by M. Ryder relates to school testing. HARTFORD — The state’s third annual attempt to boil academic success to a single number shows progress being made in the college readiness arena but on the reading, math and science front, not so much. Nearly three quarters of districts and charter schools statewide — 146 out of 201 — scored worse on this year’s index than they did a year ago. Individual student improvement over time — something the state pushed to include in its Next Generation Accountability system — is what in many cases held schools and school districts from seeing overall improvement, state officials said. Released Friday by the State Department of Education, the state’s grade, or index, remains flat, rising one tenth of one percent to 73.2 points in 2016-17. Each school and district also earned an index number based on the same compilation of 12 indicators. Included are not only scores on state standardized tests but absentee rates, graduation rates, access to arts and physical fitness. What is measured is how well schools are living up to goals set for them by the state. Locally, Bridgeport, Derby, Milford, Region 9 and Seymour saw one-year increases in their scores from the previous year. Ansonia, Easton, Fairfield, Monroe, Oxford, Stratford and Trumbull showed slight declines from 2015-16 to 2016-17. For Bridgeport, the overall 2.9 percent increase was applauded as a step in the right direction. In its index reporting, the state makes note of schools that improve, show growth or just have overall high numbers. A list of 124 Schools of Distinction were reported including a dozen locally. In addition, 16 schools on a watch list for poor performance gained enough ground to leave the list. One of them was the BioTech School that is part of Bridgeport’s Fairchild Wheeler Magnet Campus. Ajit Gopalakrishnan, chief performance officer for the state’s Department of Education, said the state was pleased that more students are taking Advanced Placement courses and tests. 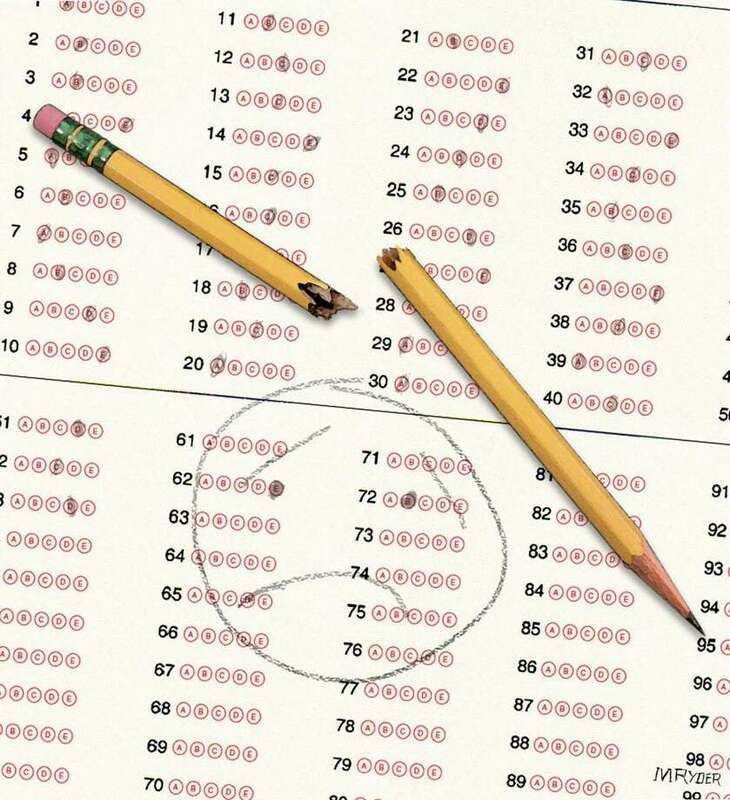 All juniors now take the SAT as their state assessment. On the positive side was a 3.6 percent jump in the number of high needs students — English language learners, students with disabilities or from low income families — who graduated in six years or fewer. Physical fitness levels also jumped 35 percent because there was more participation changing the points earned, state officials said. On the downside was some backsliding on the percentage of growth, or how well underperforming students do from one year to the next in matching state averages. In language arts, the growth slipped 8.5 percent and in math, 3.7 percent. Growth carries the largest weight in the index and in many cases is what caused many school districts to decline, Gopalakrishnan said. In measuring growth, the district excludes students who relocate to new districts — 2,194 between the two years — so that the same students are being compared one year with the next. Also down were science scores. The index dropped nearly 3 points statewide. The federal government requires the state to compile the index and use the information to help schools to better education their children, but no longer collects the data as it did under No Child Left Behind.